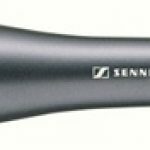 When shopping for a professional high quality microphone Neumann and Rode are two companies that come to mind in delivering a high quality product that will last for years. 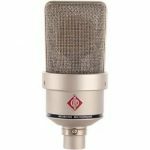 This comparison guide takes a look at the Neumann TLM-103 and the Rode NT2A Anniversary Vocal Condenser Package. Both are quality products but both have different features that will be explained with a conclusion and recommendation at the end. 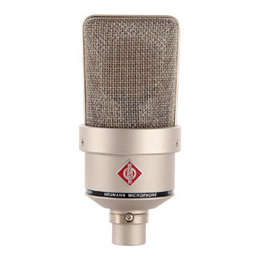 Neumann has been a trusted name in the world of microphones since the early 1900s. Frustrated by the low quality of early turn of the century microphone technology, company founder Georg Newmann of Berlin worked to develop a better quality microphone. 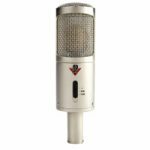 While he developed his microphones in the mid to late 1920s, Neumann’s business took off and branched out into other areas of studio engineering products. Fast forward to today where the Neumann TLM 103 has set the stage as being one of the ideal microphones for all semi-professional and professional situations that require the highest sound quality with a restricted budget. Neumann microphones are notorious for having transformerless circuits and the TLM 103 pairs this with a low self-noise and high sound pressure level transmission in this uniquely crafted microphone. 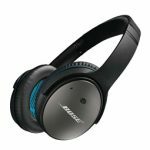 The capsule in this model was borrowed from the U 87 model and has a cardioid pattern which provides exceptional attenuation signals from the rear and is well balanced acoustically. 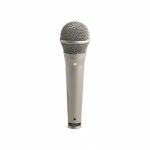 Because of the universal cardioid pattern, super low self-noise level, straightforward handling, and the price this is an excellent microphone for any demanding use from home recordings all the way to a professional recording studio. It should also be noted that there is a flat frequency response in this model up to 5 kHz and a wide flat 4 db above that of presence boost. The large headgrille made of wire mesh is not only stylish but it also protects the capsule from plosive sounds and prevents pop noise. Rode Microphones have been an Australian owned and operated company based out of Sydney, Australia since the late 1960s. Henry and Astrid Freedman founded a small Freedman Electronics shop in 1967 after they migrated from Sweeden. Later on their company became a leader in the fledging Australian audio industry. Freedman Electronics was the first company in Australia’s history to carry Dynacord consoles. These became famous in Australia when Henry Freedman mixed sounds for Tom Jones during his Australian tour in 1968. 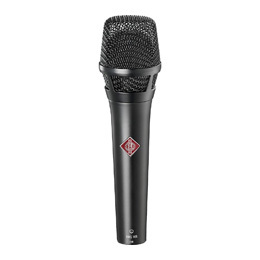 The Rode NT2A is one of Rode’s signature microphones. This model was used to record vocals and a large range of instruments by Grammy nominated engineer and producer John Merchant. This microphone give a classic style look with modern technology sound. The NT2A features a one inch HF1 gold sputterd mesh capsule, controls of polar patterns on the body, HPF, and pad. The polar pattern is variable for Omni, Cardioid, and Figure 8 all controlled on the microphone itself. You also have three position high-pass filter, Flat, 40 HZ, or 80 Hz as well as a three position variable pad: 0dB, -5dB, and -10dB. Not only do you receive the microphone in this bundle but you also receive an SM 6 shockmount, a dust cover, and a good quality XLR cable along with documents and Rode anniversary sticker. While both microphones offer a very high quality sound, the Rode NT2A offers the three position variable polar pattern, high-pass filter, and pad on the microphone. Because you also get the shockmount and XLR cable you get a little more value for your investment. Both companies have set a high standard for delivering quality equipment for decades so quality is not a large factor between these two products. The TLM-103 borrows technology from other successful models Neumann has produced and is a very high quality product. If you have a brand preference stick to it, you should not allow any factors to change your brand loyalty if you are a fan of one or the other. 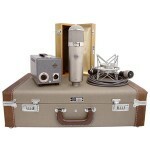 However; from an unbiased perspective the Rode NT2A Anniversary Vocal Condenser package may be the better value. Depending on your need and use either microphone should stand up to your needs. Click here to purchase Rode NT2A on Amazon! 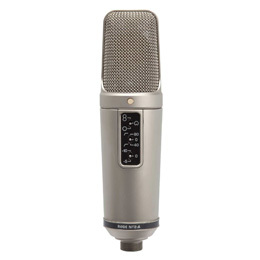 Click here to purchase Neumann TLM-103 on Amazon!